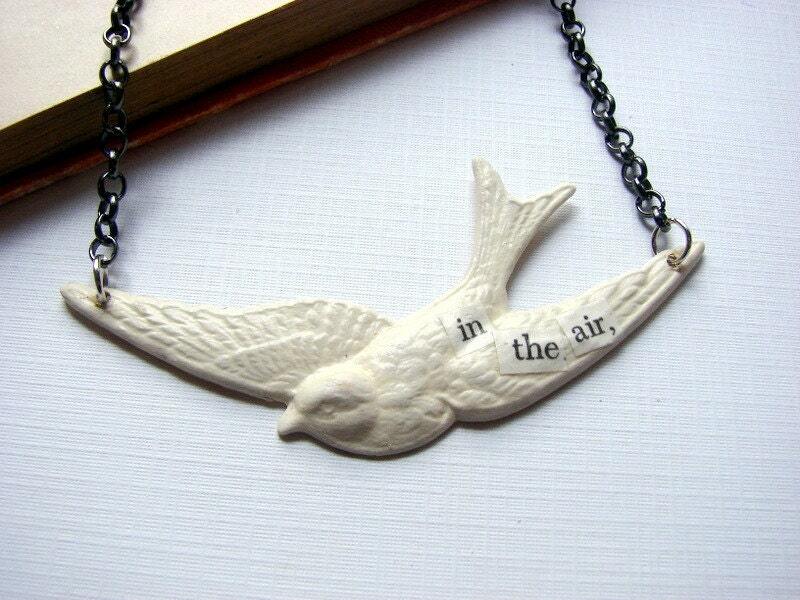 A large swallow brass charm has been hand painted in vintage white (by me!) , decoupaged with words cut from a vintage book, sprayed with a clear sealant, and hung from a silver and black metal chain. The bird measures about 1 3/8 x 3 1/8". The chain extends for about 8 1/2" on either side of the pendant, for a total length of about 17", and closes with a lobster clasp.